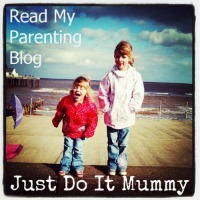 Earlier this week, I emailed Sally at the Tots 100 with my thoughts about inspiration for blog posts in 2012. 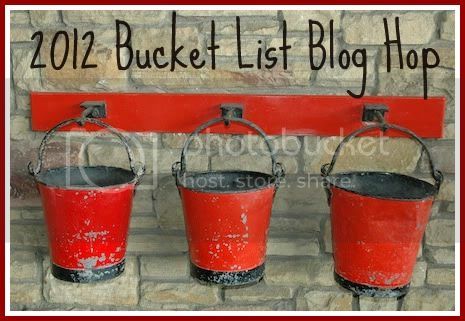 I suggested that I would most like to see posts about Bucket Lists this year as I want to challenge people to realise their goals and achieve them. Travel to as many Countries as possible. Visit the Ice Hotel . Take my kids to a Music Festival. Watch the Sun rise over the Pacific Ocean. Go Whale and/or Dolphin Watching. Dance on TV or in a Musical. Live in a big mansion in the City I choose. So not quite my complete ultimate life Bucket List, but a good start for 2012. Attend a Vegetarian Cookery Course & Utensil Skills Course. Review the Vegetarian menu in Restaurants. Go on a blogging travel trip related to Vegetarian food. Attend blogging conventions and meet more lovely bloggers. Perhaps through my blog earn an income, or get more copywriting/freelance writing/Fundraising or PR work so that I can feel less guilty about not having a full time high flying Career. I have already started fulfilling one of these wishes as today I learnt HTML for how to insert borders around images and tables into blogger - a big achievement for me!!. I also created my own blog hop image and link - an even bigger achievement! As listed in my 2012 Bucket List, I received some new recipe books for Christmas and so I am looking forward to cooking some dishes out of them and seeing which dishes I can adapt to turn Vegetarian! Do you have any favourites from these recipe books you could recommend? So that's me at the beginning of 2012! I will hopefully be blogging about how my bucket lists are going (or not) throughout the rest of the year. I thought it would be fun to create a Blog Hop so that you could link your own 2012 Bucket List. However realistic or fantastical it is, I would love to read it. All you have to do is copy the badge to your post and then enter your details in the link. This is a great list! I think it's really good that you have a life 'list' and a 'blog' list, I suppose I should join in really! Always good to push yourself and learn new things, well done with the html code too!! i came over from ren's! that's a really great list! i've been trying to simplify my life, meditate, focus, so i'm keeping to a very simple new year's resolution to just be more me. i may tackle this bucket list one day when I'm a bit more sure of what I want to accomplish in life, but thanks for the beautiful inspiration! chanced upon your space while blog hopping...very interesting space you have.. Came across your blog. There are some great ideas here! I may have to borrow an idea or two for myself :-). Will try the Blog Hop above, apologies if I do it incorrectly! Great cookbooks! I just ordered the River Cottage Veg Everyday, vegetarian cookbook. I'm so looking forward to cooking from it. From yours, I would like to get one of Lorraine Pascale's books and Jamie Oliver' Jamie's Great Britain. I've just been writing my bucket list so when it's finished, I'll link up! Thanks for visiting and commenting all. Can't wait to read your bucket lists! Great goals and the bucket list looks great. Rather than writing a bucket list year I am writing blog posts on how to achieve a bucket list and have just finished a kindle book about it!